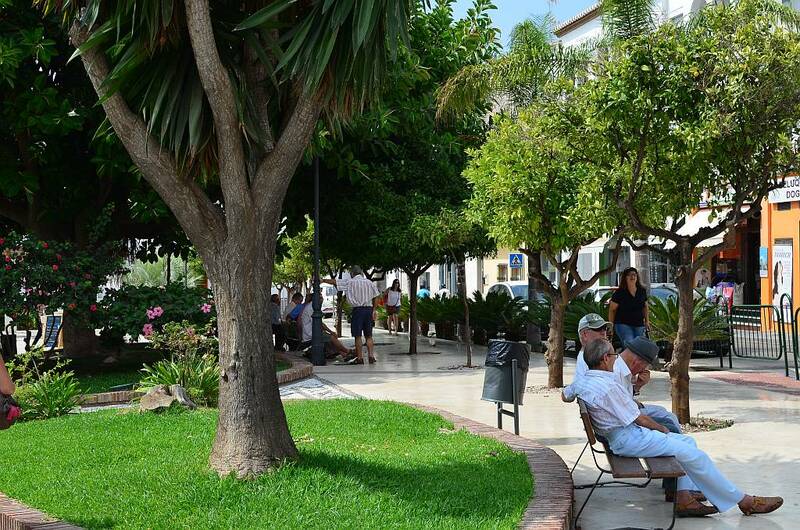 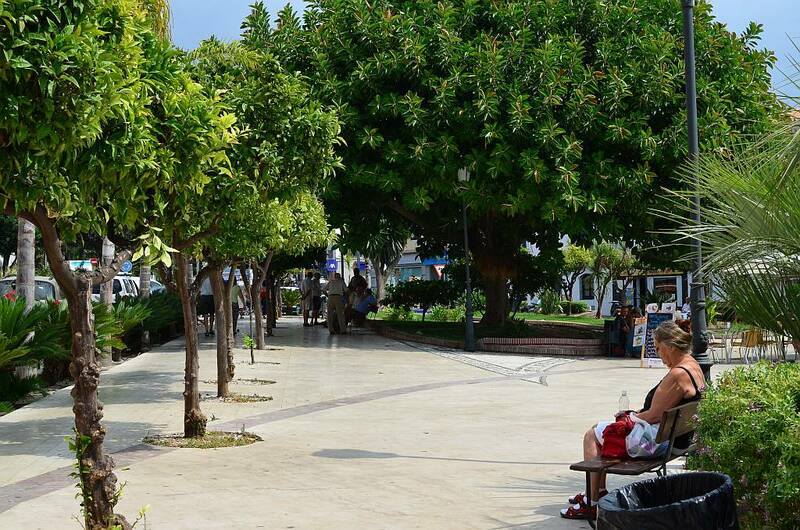 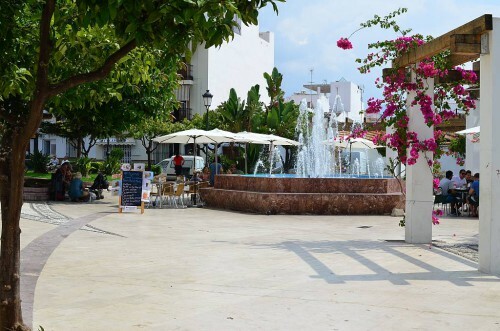 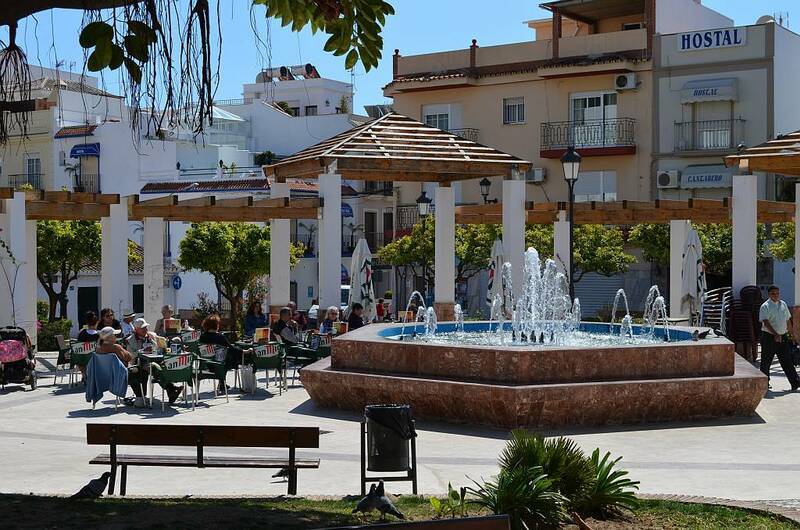 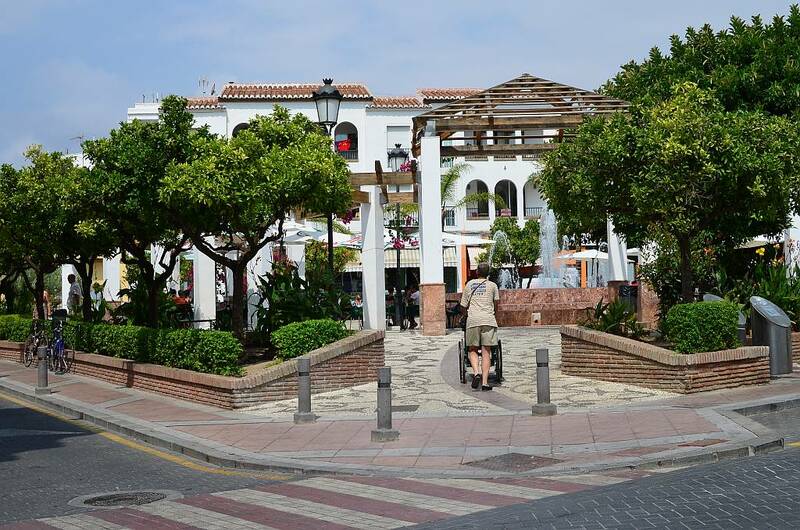 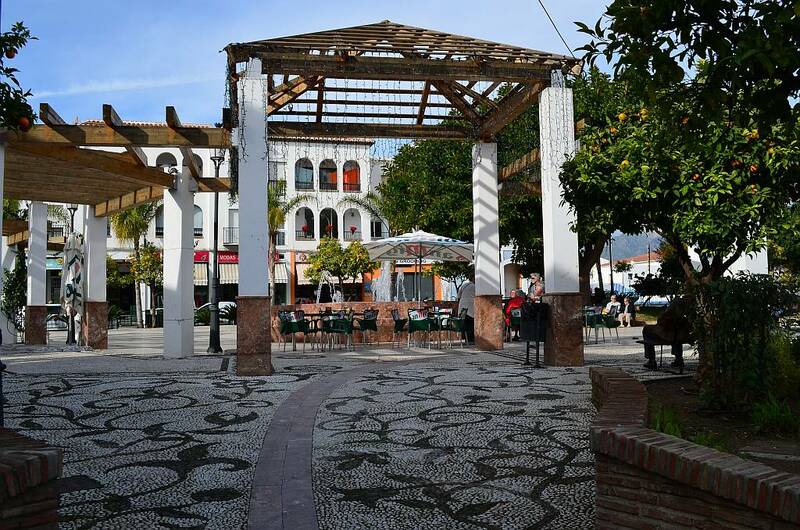 Plaza Cantarero, known locally as 'Orange Square', is at the top end of Nerja where Calle San Miguel and Calle Pintada merge. 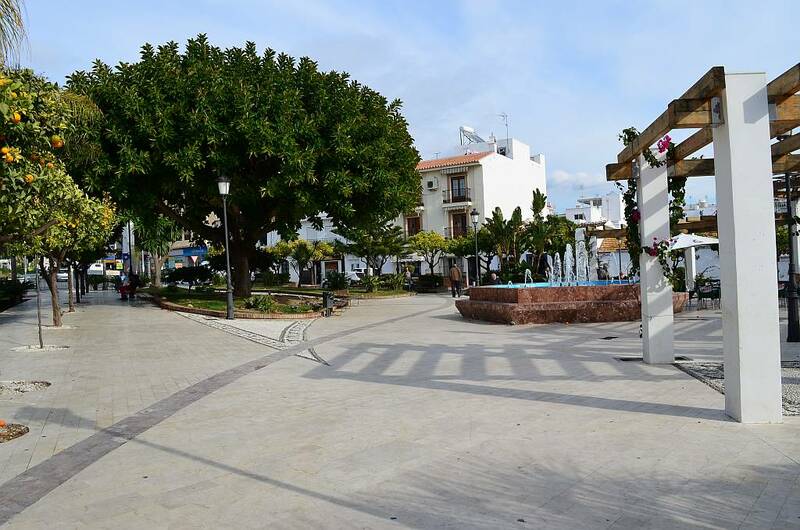 The square, which is actually triangular, is named after Francisco Cantarero Rodriguez, son of Manuel Cantarero who directed of the building of the Eagle Aqueduct - acueducto del Águila - in the latter part of the nineteenth century. 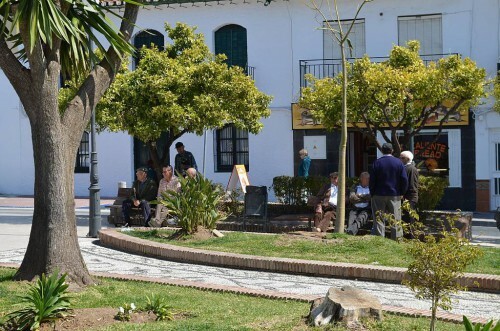 Francisco became Mayor of the town in the second decade of the last century and in 1913 built a family home in the square. 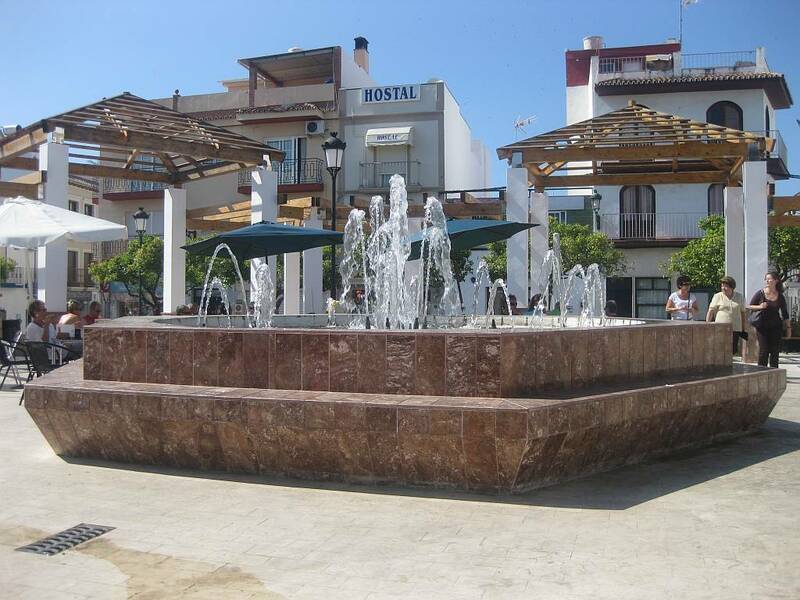 Especially in the summer months, it is a lovely place to sit and watch the world go by and the kids love to play around the ornamental fountain. 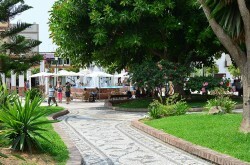 The square was totally renovated in 2010. There is a small cafe on the bottom edge of the square with its terrace actually in the square, a great place to sit and watch the world go by. 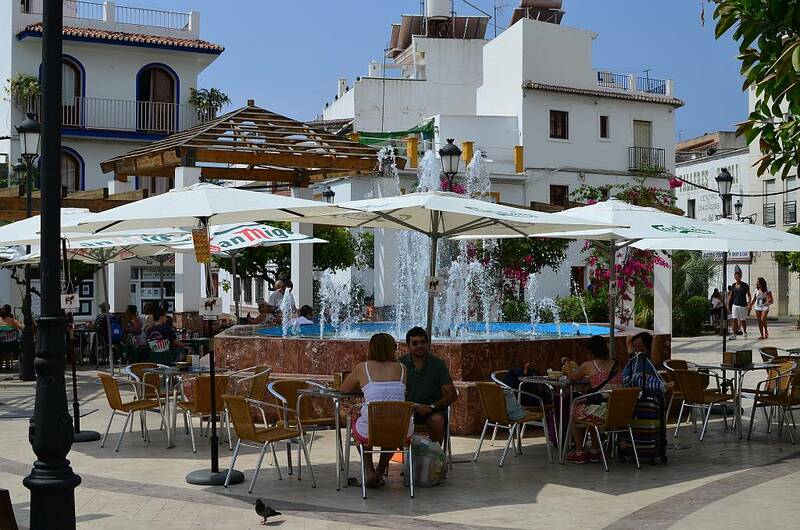 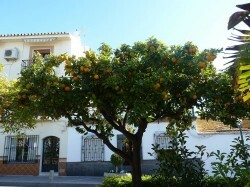 In this area of town you will also find some of the best tapas bars, local Spanish bars full of atmosphere. 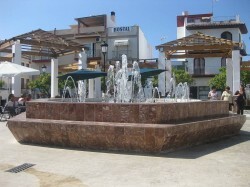 Los Bilbainos, El Cangrejo, Los Cuñaos, Chispa's, La Puntilla and several others are very close by. 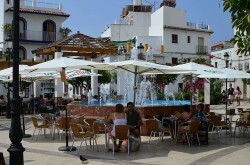 You can find details of these in the Bars and Restaurants Guide or see them on the Tapas Bars Map. The first video shows the square as it is today, the second video shows the old Plaza Cantarero.